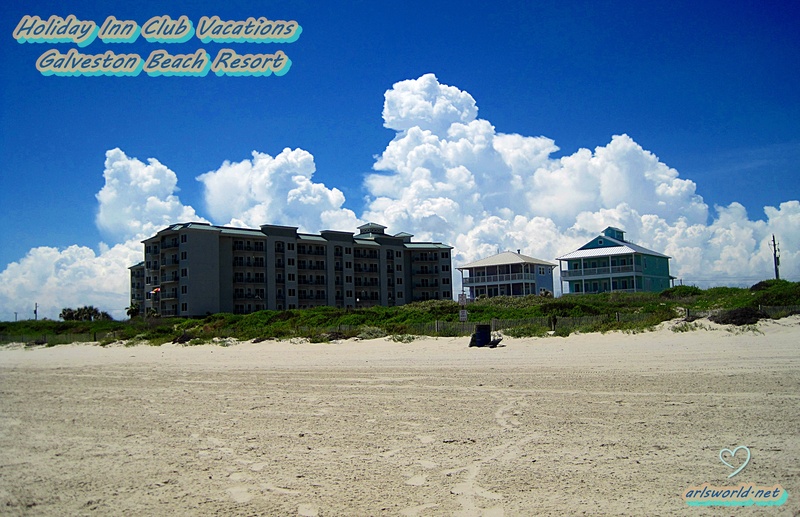 One of our favorite places to go is to the beach. 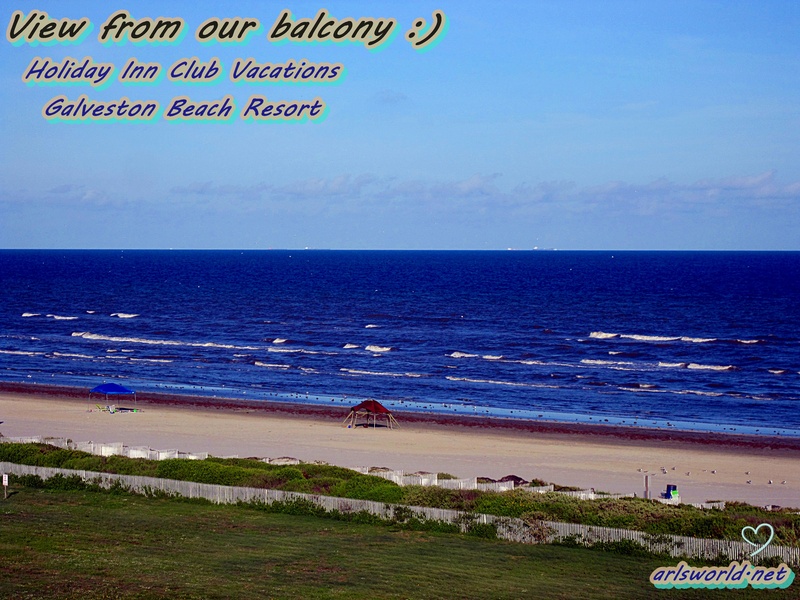 Every summer we spend lots of family time at the seashore of Galveston Island. 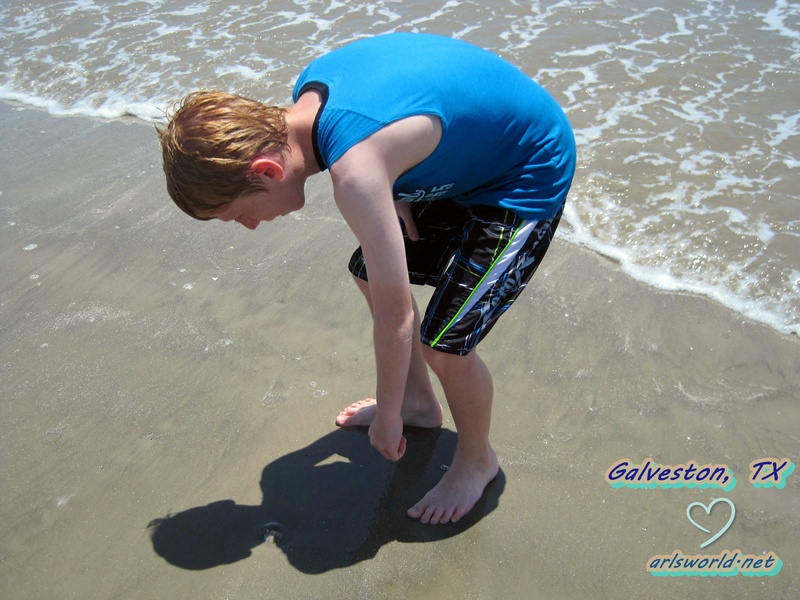 Starting with Spring Break madness and continuing through the summer months, Galveston offers a great getaway, perfect for families, couples and all you spring breakers. If Spring Break is not your ideal getaway time, than August might be. If you can stand the summer heat, as it gets really hot this time of the year, August is a good time to take a vacation. As summer comes to an end and families prepare to send their children back to school, hotels lower their rates and sometimes offer end of season specials. 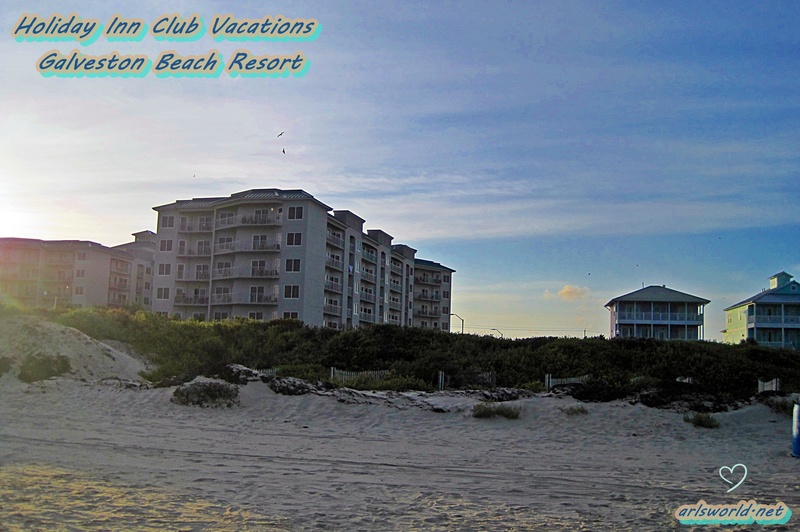 This was true of the Holiday Inn Club Vacations Galveston Beach Resort where we chose to stay this particular trip. 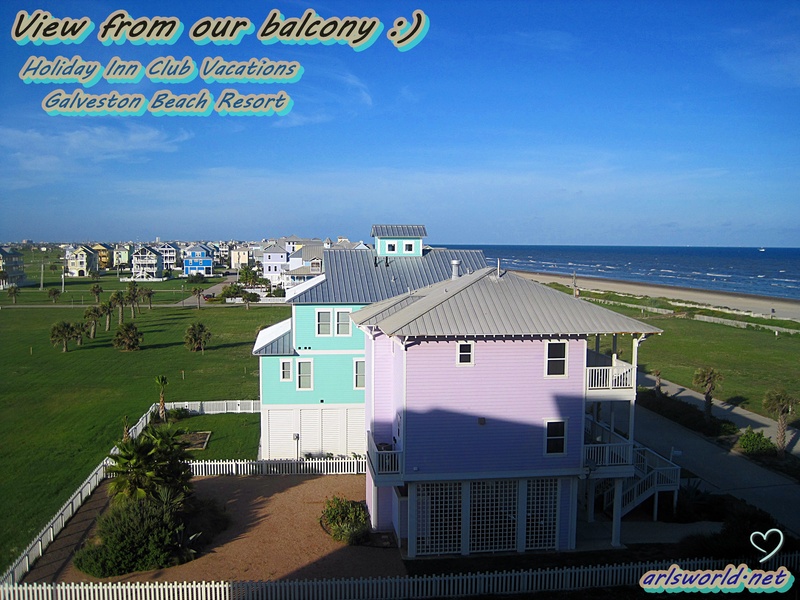 There are quite a few good places to stay in Galveston, but what sets this place apart from the others is location, location, location! It is right on the beach! We also like that it is about 5 miles out-of-town so you get less of the crowds. Our suite was really nice with a full kitchen, living room and spacious bedrooms and bath. You have a shared laundry room with one other unit/suite. We loved the balcony that went from the living area around to the main bedroom. The view was absolutely gorgeous! It was so peaceful to set out on the balcony in the morning or evening, looking out at the beautiful blue ocean …and all the colorful beach houses. Walking the beach and hunting for seashells is always one of our favorite pastimes. I think my son find some interesting ones on his walk. Glad you could come along! See you next time! This post was a part of Fiesta Friday. 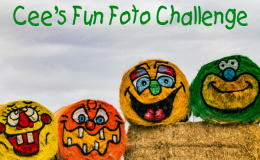 Come on over and join the fun!! Ahh…this trip looks like a little slice of heaven, Arl. Thanks for taking all of us at Fiesta Friday on a virtual trip! Hi Tracy! We have had such dreary weather this week so I was dreaming as well. I am glad you enjoyed it. 🙂 It was a fun getaway. This looks like a real relaxed and enjoyable trip Arl. The beach looks so pristine. The water so inviting. Thank you for taking us all. I am sure you have some really good memories to cherish. Thank you Skd! My pleasure, I am glad you enjoyed! It was a good trip.